The Theatre Royal Plymouth is working with other cultural organisations in the city to host an amazing and inspiring range of dance performances and workshops from high quality international dance companies during February and March as part of The Boys Are Back In Town. This collaborative season will feature a vibrant collection of work from professional male dance-makers brought to you by the Barbican Theatre, Peninsula Arts and Theatre Royal Plymouth. Through performances and workshops across various venues in Plymouth, male dance-makers will be demonstrating the high levels of skill, strength and agility required in dance and hopefully inspiring the next generation of dancers in this city-wide project. Performances range from Ordinary Courage by Theo Clinkard at the Barbican Theatre, Jonathon Burrows & Matteo Fargion bring Counting to One Hundred and One Flute Note at Theatre 1 in the Roland Levinsky Building and an evening of dance from a wide range of community dance companies at City College Goschen Centre through Attik Community Platform. 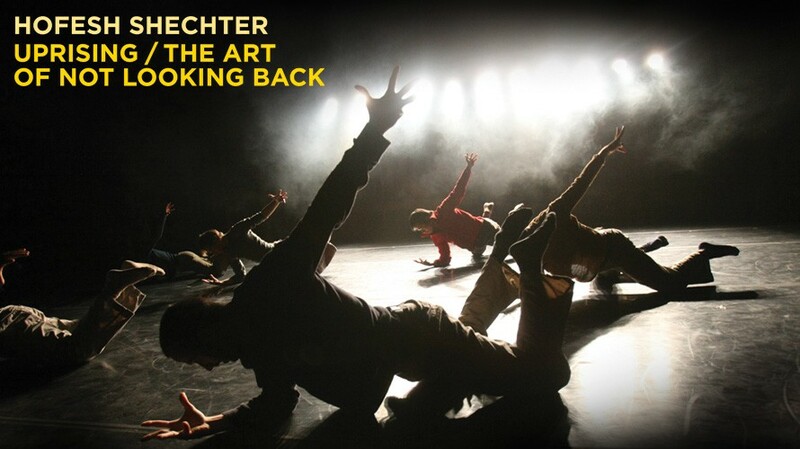 The Boys Are Back In Town is fittingly brought to a close at the Theatre Royal with performances by the internationally acclaimed Hofesh Shechter Company who bring Uprising & The Art of Not Looking Back on Tuesday 26 March and Wednesday 27 March. Many of the performances have workshops running alongside them, so participants can explore their own strength and learn new skills..